In the summer months, there’s nothing better than driving around Annapolis, Highland Beach and Hillsmere Shores with the radio on and the convertible top down. 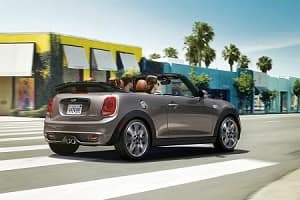 If you’re looking for a car to do just that, then check out the Cooper S Convertible. 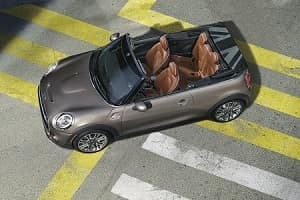 In this 2018 Cooper S Convertible review, we’ll go over everything you need to know about this impressive vehicle. 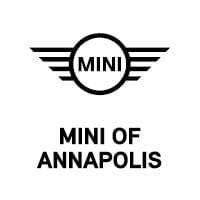 Learn all about it below and contact us at MINI of Annapolis if you have any questions. The 2018 MINI Cooper S Convertible has a stylish interior that can be tailored to fit your personality. For instance, the seats come in premium stitched options like Chesterfield leather or Carbon Black leather. Plus, you could get LED door projectors that make getting in and out of your vehicle a special experience. By projecting light onto the ground where you are about to step out, the projectors offer you a safety convenience. This car also has lots of high-tech features to help you stay connected and safe. It comes with an infotainment system that has a 6.5-inch screen and Bluetooth® technology to stream audio or make hands-free phone calls. You can also get a navigation system with an 8-inch touchscreen. It’ll give you real-time traffic updates to help get from point A to point B easily. There’s an optional retractable head-up display as well, which will show essential info like speed and navigation in your line of sight. Furthermore, there’s the available Active Driving Assistant. This camera-based driver-assistance feature includes Forward Collision Warning and Automatic Emergency Braking. Despite being a subcompact car, the Cooper S Convertible has plenty of space for four. In front, you’ll get 39.8 inches of headroom and 41.4 inches of legroom. In back, there are 39 inches of headroom and 30.9 inches of legroom. Furthermore, heated seats are available to help you stay cozy on colder nights. Dual-zone automatic climate control is also an available option. This lets the driver and front-seat passenger select their preferred temperature settings. This way, no one needs to stay too hot or too cold. But, you could always let the top down to get in some natural fresh air. The electrically powered soft top folds up smoothly and quietly in less than 20 seconds. If you don’t want to have the whole top down, simply opt for sunroof mode. This will open it a little bit to let a slight breeze in. The 2018 Cooper S Convertible comes with a 2.0L 4-cylinder TwinPower Turbo engine that delivers 189 horsepower and 207 lb-ft of torque. The vehicle comes standard with a 6-speed Getrag manual transmission. However, you can opt to get a 6-speed automatic transmission with or without shifter paddles. The Cooper S comes with MacPherson struts in the front and a multi-link suspension in the rear. This is to help give you great handling on any type of road. You can also choose between three different driving modes. Whether you select Sport, Green or Mid, you’ll get a perfectly balanced performance. Overall, this vehicle will give you sharp steering, great body control and a high grip. These are all good for traveling on winding roads. As our 2018 Cooper S Convertible review shows, the Cooper S Convertible offers up agile performance and lots of features. It just may be the right car for your trips around Annapolis, Highland Beach, and Hillsmere Shores. But to know for sure, schedule a test drive at MINI of Annapolis today!